Slug Fest: Cabal Fang Martial Arts Training Involution #149 | Robert Mitchell Jr. According to the very nice county police officer who gave me a heads up Thursday night, there’s a chance we’re going to be run out of the civic association park where we’ve trained since ’09. We’re okay for now, but “No Trespassing” signs are likely going up soon. Running is almost always the right answer in a self-defense situation. But not this time. Next week I’ll be asking for a zoning variance at the monthly county board of supervisors meeting. And I’ll also be asking about the future of the park — about the county’s commitment to its upkeep, and so on. Meetings are video taped and saved on the county website, so video to come. 9 mins of slugging. Warm up thoroughly (at least 8 mins). Set timer for 1:00 min intervals. Bang the heavy bag for 1 min as fast and as hard as you can. Then shadowbox as fast as you can for 1 min. Then, based on your fitness level, hold a Handstand, Push-up Plank or Elbow Plank for 1 min. Repeat twice more for a total of 9 mins. Take as few 12-count breaks as you must in order to finish. Ask Archangel Barachiel for intercession. 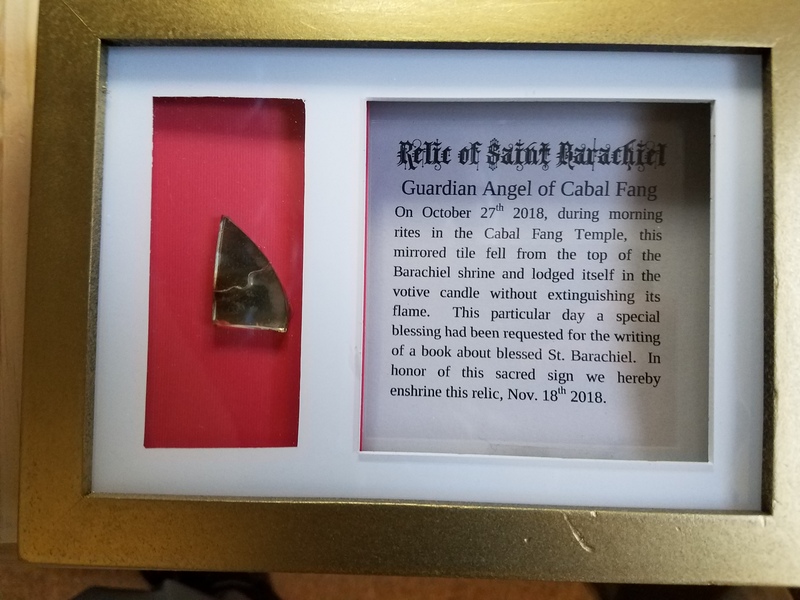 Light a white candle and/or burn some incense as an offering to Archangel Barachiel, our guardian angel, and spend a few minutes in silent reflection. Request he lend his wisdom, guardianship, guidance, care, visitation, and defense to Cabal Fang as we struggle to keep our space. This entry was posted in Martial arts, Mysticism. Bookmark the permalink.